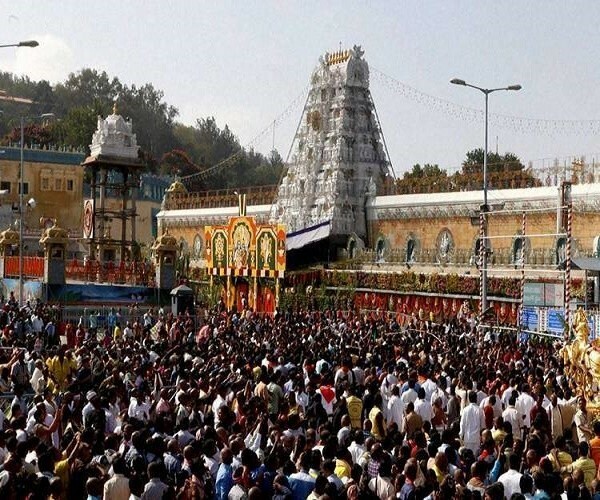 If Tirumala’s TTD Not Comes Under RTI Act, Why Legal Battle Rages In Hyderabad High Court? A legal battle is brewing in the Hyderabad High Court as the Tirumala Tirupati Devasthanams (TTD), the governing body of the Lord Venkateswara temple atop Tirumala, has argued that it did not come under the purview of the Right to Information (RTI) Act as it is not a ‘public authority’. The TTD spelt out its stand earlier this week in a petition, after it moved the court over orders by the Central Information Commission (CIC), to divulge certain information to an RTI applicant. The petitioner, BKSR Ayyangar, had filed an RTI application with the Prime Minister’s office in 2017 asking for information on ornaments donated to the temple by 16th-century ruler Sri Krishnadevaraya, which were allegedly ‘missing’. Unsatisfied with the response he received, the petitioner approached the Commission in April this year. The petitioner also pointed out to an instance where the TTD allegedly demolished a thousand-pillared ‘mandapam’ in front of the main entrance of the temple, in breach of Archeological norms and said that several spiritual leaders had vehemently opposed the move. He added, “I asked the TTD authorities why they don’t consider themselves as a public authority. That was what my order stated. Then they moved the Hyderabad HC saying that the CIC does not have jurisdiction over a state-body like the TTD. They took up a technical ground. I agree with them about the jurisdiction but my argument stands that the TTD has a moral and legal responsibility to reveal the information,” he added. However, this was not always the case with the TTD, as it had shared information in the past under the RTI Act, until 2012. He also agreed that the TTD had a moral and legal right to share information with the public. The petitioner, in his appeal to the CIC, said that the “TTD stonewalled information requests, refusing to come under the RTI Act,” though it was part of the Endowments Department of Andhra Pradesh, which meant that it was a public authority. The CIC pointed out in a letter on September 2012 that the TTD had responded to an RTI request and furnished information about the thousand-pillar mandapam, but changed its stance within two months, stating that it was doing so under the instructions of the Executive Officer of their religious body. “The Tirumala Tirupati Devasthanam is a single religious institution, which is governed by the Andhra Pradesh Charitable and Hindu Religious Institutions and Endowments Act, 1987. Nowhere in the said Endowments Act, it is said that this Act is brought out to establish or constitute ingredients to fall into the definition of Public Authority under the RTI Act. 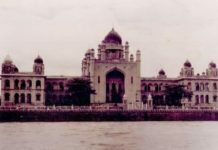 On the contrary, it is very specifically said in the Preamble of the said Act that it is only for the administration and governance of Charitable and Hindu Religious Institutions and Endowments in the State of Andhra Pradesh,” the TTD said in a letter dated November 17, 2012, to the petitioner. ALSO READ: Why Over 30,000 'RTI Queries' Are Pending And The 'Law' Is Virtually Becomes Defunct? The TTD also stated that it was administered and governed only indirectly by the state government, which appointed Trust Board members, who functioned as an autonomous body. The TTD also cited a Kerala High Court judgement from 2011, which said that temples and their offices were not established or constituted by or under the Constitution of India or by notification or order issued by any government, which meant that they were not owned by the government. “Every religious institution has the right to manage its religious affairs, including its religious activities, income and expenditure, assets and liabilities, and to keep them secure as it relates to their specific religious institution only. It may be appreciated that any religious body – Hindu, Muslim or Christian – may not be willing to share its information with the public other than what is warranted and requires to be shared with them. In other words, these religious institutions are complying with all Statutory Laws all the time and also the freedom given under Article 26 of the Indian Constitution,” the TTD said in its letter. In 2011, a committee was constituted by TTD headed by former Supreme Court Judge Justice Wadhwa, which submitted a 137-page report. In the report, Justice Wadhwa had noted, “We have suggested to the TTD to make use of modern technology to have a more transparent and foolproof system for the protection of jewels”. ALSO READ: Is Telangana Assembly Polls Turning Out To Be A 'Litmus Test' For KCR? 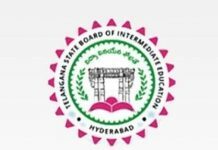 The CIC also noted that the management, administration and organisation of TTD were subject to the guidelines issued by the Government of Andhra Pradesh through the Ministry of Endowments, which meant that the Government controlled the TTD through the constitution of the Board of Trustees and appointment of the Executive Officer. This, in turn, the CIC argued, was enough to bring the TTD under the RTI Act. “It’s absurd, immoral and illegal to plead that TTD is not accountable to people under the RTI Act. Such an unreasonable plea raises suspicion that something is rotten in it, and it wants to hide. Being one of the most efficiently administered organisation, the TTD has no reason to fear the RTI Act and escape the accountability or answerability… people have every right to demand every bit of information about the way they are spending the money they have donated to Lord Venkateswara,” the CIC said in its concluding remarks. 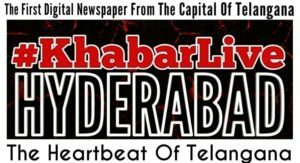 Previous articleHow ‘Regional Bands’ Are Retuning Hyderabad’s Music Genre? Why The ‘Proposed 52 Foot-Over-Bridges’ Remain On Papers In Hyderabad?